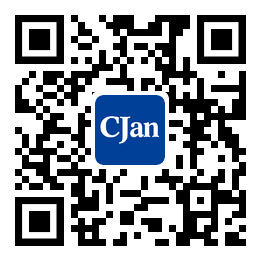 ﻿ The New Breakthrough in Food-Grade Plastic Tubing Industry Has Promoted China'S Rubber Hose Developm - CJan Fluid Technology Co., Ltd.
At present, China's rubber pipe manufacturers have grown to over 1000, with over 300 large scale enterprises. Great progress has been made in product yield, quality, structure and enterprise revenue. The product performance basically meets the demand of domestic industries; the overall level is close to or meets the advanced national standard. According to the data of the national bureau of statistics in recent years, the output of rubber pipe in China has increased year by year, ranking first in the world. We have varieties of products and wide application range, including mine, petroleum, metallurgy, construction, engineering machinery, agriculture and horticulture, automobile, aviation, navigation, medical and other fields. At the same time, the automotive rubber tubing is upgraded to be heat resistant, fuel oil resistant, high pressure resistant and of low permeability. The development focus is mainly on fuel oil hose, air conditioning hose and supercharger hose. Besides being used as drilling rubber hose and vibrating rubber hose, the oil industrial rubber hose has been developed as offshore oil pipeline at present. Coal industrial rubber hose mainly includes hydraulic support rubber hose, coal seam water sealer retractable hose, etc. All kinds of rubber hose gradually achieve the breakthrough in resin, weaving and structure, meet the needs of the domestic supporting units, and have played a role in promoting the development of the national economy and the progress of science and technology. In recent years, China's rubber hose production abides by the concept of the national advocacy of scientific development, brand strategy and circular economy. The products are developed in the direction of safety, energy saving, environmental protection. A lot of technologies have reached the world advanced level. With the introduction of advanced technology and equipment and technological innovation, the class and the quality of the products has won remarkable progress, and high-performance products have been continuously springing up. Existing enterprises in China have entirely or partially grasped the technologies of fuel hose lead-free production and the production of high and new technology products including high-temperature resistant hose, 150 ℃ grade EPDM radiator hose, floating or half floating oil hose, deep-sea submarine oil hose, etc.